At Karl Welsh Floral Design we understand that first impressions count. That is why our shop is bright, colourful and modern with a welcoming atmosphere and we feel we can translate this impact to your business. Any working environment will benefit from the presence of flowers and plants, so by utilising the power of flowers to enhance your image, you can create a unique impression for both visitors and staff. Flowers make ideal relationship gifts, and can be used as part of a sales strategy, as a reward for performance or as an apology gift. Flowers can also be used as part of a staff motivation and rewards programme, which will foster the loyalty that is vital to continued success. Another benefit of choosing Karl Welsh Floral Design for your corporate flowers is the advantage of being able to use your account to send bouquets, plants, champagne and chocolates to staff and clients for all occasions. We are so confident that you will love us we are happy to provide you with a sample vase or plant completely free of charge just so that you can see the difference for yourself. If you would like us to quote for any of your floral requirements, however large or small please call us on 01925 758181 or e-mail us on corporate@karlwelshfloraldesign.co.uk and we will be pleased to help. Not local? 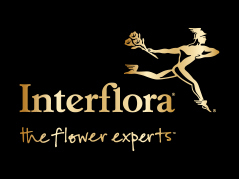 Don’t worry, we work with Interflora to help deliver our quality service nationwide!